Hey every book I read from now on! Yeah, you! Do me a favour and sport completely tricky, beautifully elegant front covers, and then shock the HELL out of me once I open you. Okay? Alright, good. Now that that's settled, let me to describe to you the wild ride that was Etched on Me. I feel like I should be making a video review for this, there is so much emotion I want to convey, that I feel like the use of writing as a medium just won't cut it this time. Etched on Me was that first SLAP of cold in the face, when you open your door to -35 degree weather (thanks Toronto). I was split open, and completely at the mercy of what this narrative was telling me. I have felt for characters before, and I will again, but right now, it's just me, and the lingering presence of Lesley Holloway. She's escaped. That's where we find her. On a park bench, contemplating her next move. She's taken the ultimate step. She's freed herself from a HORRENDOUS reality that NO child should ever be subjected to: sexual abuse from a parent. I had to take pause, at the beginning, at the middle, and even at the end of this book to realize the magnitude of the situation. To stop myself from putting the book down due to feelings of nausea, of actual, PHYSICAL distress. The book isn't completely graphic in it's descriptions, but from the little that was described, to the rest left horribly to the imagination, I was RUINED. I sympathized and empathized and cried raw, real tears for Lesley Holloway. For the reality of SO many girls like her around the world. I couldn't stand it, but I also couldn't stop reading. Etched on Me was an extremely powerful book of survival, and as Lesley grew stronger, I grew stronger with her. Lesley finds a herself immersed in a HERD of support very early on in the book, so in that sense, I wasn't pushed completely to the edge. The people surrounding her-her new found family-were characters that were easy to fall in love with. Every person that showed a single glance of compassion was impossible to not attach myself to. At maybe another point in my life, I would have complained that Lesley got everything sorted out way too easily to be deemed realistic, but I didn't care now, I wanted the entire WORLD on her side. I grew to appreciate her mother figure, Gloria, with a fierceness that made me, in turn, appreciate Jenn Crowell's FANTASTIC writing ability. She wasn't going to just let readers stand outside the window and look in, NO, we were going to be front row, centre, in the direct line of the blood, and sweat, and SO many tears. Nothing else needed to be happening but the path to recovery that Lesley was on. At times, I found myself wishing she would have had a confrontation with her father, a real breakdown with her mother, but in the end, I was glad neither existed. My only qualm: I'm still finding it hard to come to terms with the (obvious now, because I checked), fact that the legal age in UK for many things is 16. Personally, it was hard to solidify that fact in my head. There are so many reasons why that would be a horrid idea in America/Canada. From my experience, many 16-year-olds are still quite immature, and should not be making life-affirming decisions (I apologize if that offends anyone, but that's my opinion). Now, in that sense, it was hard to picture Lesley and Clare as being that young. For many of their intimate scenes, it was written in a way that had me placing them in MUCH older bracket: 21-30. It just wasn't realistic for me. 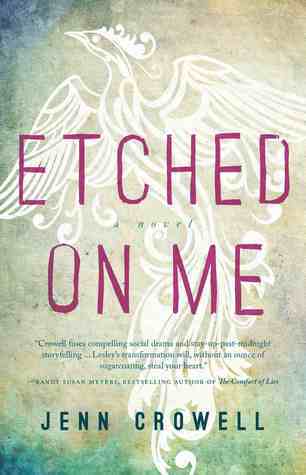 Etched on Me is not a book for the faint of heart, nor a reader that's looking for something to glaze through. I am still an entire heap of emotion, my heart still breaking and melding, and when it all stops, this book with still be ingrained in my being for a long, long time to come. 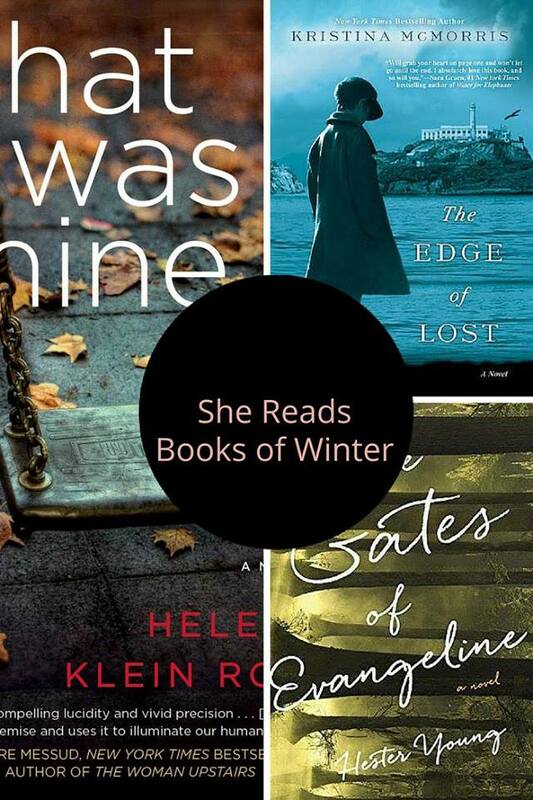 Recommended for Fans of: Adult Fiction, Contemporary, mental illness in fiction, highly controversial issues, Sharp Objects by Gillian Flyyn, Web of Angels by Lillian Nattel, Love Water Memory by Jennie Shortridge, We Are Water by Wally Lamb, Fall on Your Knees by Ann-Marie MacDonald. 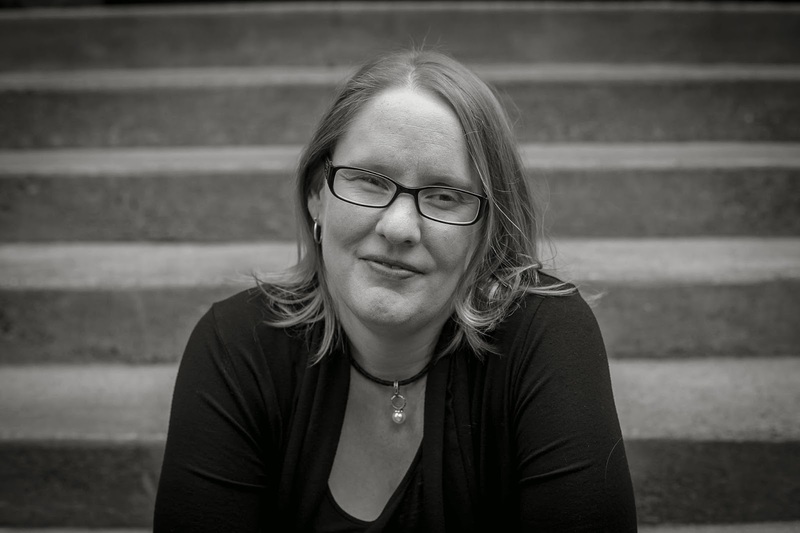 Read to find out the true story, and inspiration, for Jenn's fantastic novel! A mother who did, though, served as the real inspiration behind Etched On Me. Fran Lyon was a 22-year-old pregnant woman who made headlines in the UK back in 2007, when British social services drew up a plan to take her unborn daughter into foster care at birth. Their reasoning behind this extreme decision was that Fran would be a risk to her child simply because she had been hospitalized for self-harming as a teenager after being raped. Watching her TV appearances, I was struck by how level-headed and articulate this lovely young woman was. She’d been candid about her history, shown sympathy for the difficult dilemmas social workers face, and even offered to go on a mother-baby unit for observation after the birth – and yet she was being denied even a chance to prove herself. As a recovered self-harmer and new mother myself, I was so shocked and moved by Fran’s plight that I decided to write a similar fictionalized account. Fran ended up relocating to Sweden while still pregnant, but I knew that not every young mother-to-be in that situation would be able to make such a move. And so I had to ask myself the excruciating question of: What might happen to someone forced to fight that battle all the way to the bitter end? Would her love for her child and her conviction that she deserved to be a parent carry her through, or would the trauma and despair of losing custody of her newborn, even temporarily, pull her under? Thank-you to Valerie from Simon & Schuster for allowing me to participate in this tour, and sending me a print copy to review! 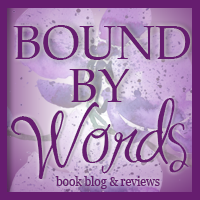 Thank you so much for your beautiful review and for hosting me, Reeka!